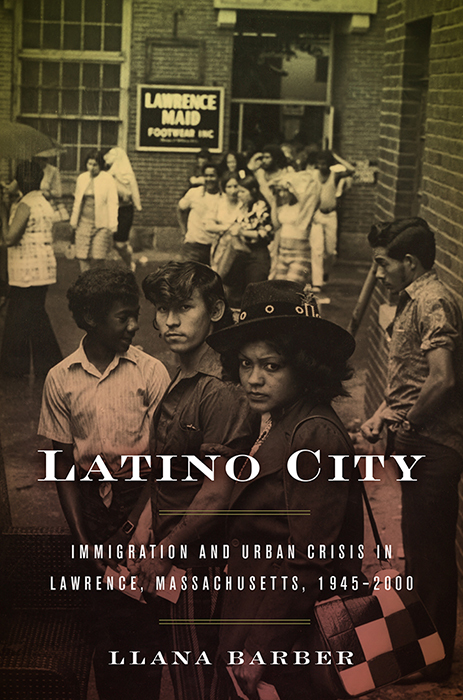 Meet the Author-- Llana Barber: "Latino City: Immigration and Urban Crisis in Lawrence, Massachusetts, 1945–2000"
Llana Barber explores the transformation of Lawrence, Massachusetts, into New England’s first Latino-majority city. Like many industrial cities, Lawrence entered a downward economic spiral in the decades after World War II due to deindustrialization and suburbanization. The arrival of tens of thousands of Puerto Ricans and Dominicans in the late twentieth century brought new life to the struggling city, but settling in Lawrence was fraught with challenges. Facing hostility from their neighbors, exclusion from local governance, inadequate city services, and limited job prospects, Latinos fought and organized for the right to make a home in the city. Event co-sponsored by CUNY Dominican Studies Institute. Will there be a live broadcast or a recording available after the fact? I’m a proud Lawrencian studying out of state but LOVE this work!